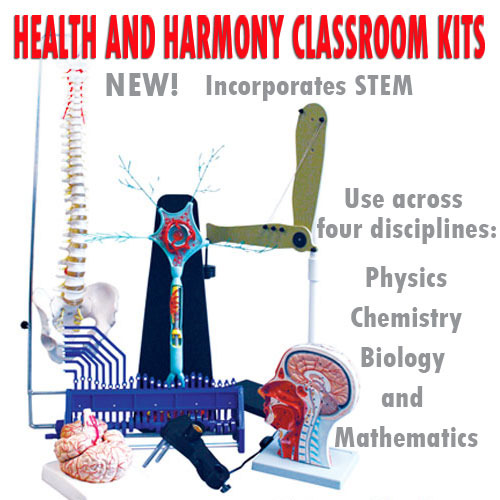 This is a classroom kit developed by Ed Lee, a former science teacher. 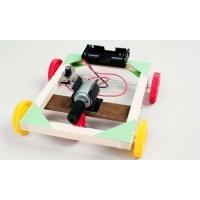 It enables students to construct a working, balloon powered vehicle out of cardboard, paper straws, and dowels. These simple materials present abundant design challenges. Enough material to build 15 models.  Comes with an extensive teachers manual that includes notes on classroom time requirements, standard connections, and science background. 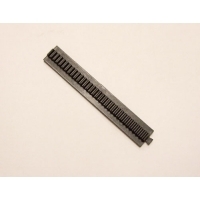 We offer a number of easy to build kits. These kits come with all the necessary parts to construct the model except glue and batteries as required for some vehicles. Detailed instructions included. Constructs a wind powered land yacht. This class set of materials will introduce students to the use of cams, gears, and pulleys in solving design challenges. This class pack comes with written materials, including suggested projects. 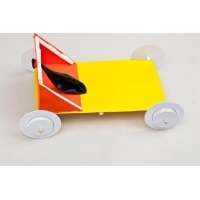 We offer a number of easy to build kits. These kits come with all the necessary parts to construct the model except glue and batteries as required for some vehicles. Detailed instructions included. 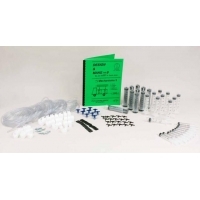 This class pack of materials can be used to introduce students to pneumatics and hydraulics and how they can be used to lift and move structures. 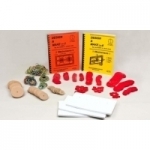 This class set comes with written support material containing class activities.